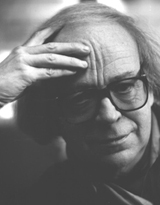 Arne Nordheim, Norway’s most acclaimed contemporary composer, died over the weekend after a long illness. He was 78. “Nordheim will be remembered as one of our foremost composers,” said Prime Minister Jens Stoltenberg. Anniken Huitfeldt, Norway’s government minister in charge of cultural affairs, called Nordheim “a great innovator” and a major figure within Norwegian and international music. So great was Nordheim’s stature in Norway that he had been granted the right to live in the state’s honorary residence called Grotten, on the grounds of the Royal Palace in Oslo. He had lived there since 1982. Nordheim, born in Larvik on the southern coast in 1931, studied at the Norwegian Academy of Music from 1948 to 1952 and was a pioneer in electronic music, realizing many of his early compositions at the Studio Eksperymentaine of Polish Radio in the 1960s. In 1967, noted newspaper Aftenposten, he got help from engineers at the Norwegian technical university in Trondheim (now NTNU) to build an apparatus for recording, filtering and modulation, with mixers and speakers. Huitfeldt said it was “impossible” to meet his music with indifference. He was keen on “moving the borders” within music, she said, but had a unifying effect as he focused on human themes such as solitude, death and love. Nordheim received an honorary doctorate from the Norwegian Academy of Music, won a long list of prizes including Anders Jahres Cultural Prize and was awarded the royal Order of St Olav by King Harald in 2004.